The great debate. While balance is an ongoing process, I think that the recent patch and the reactions to it highlights the need to rethink the balancing approach. Here is my take, I'd love to hear from more experienced players. The phrase "The game SHOULD be balanced around the Pub players" is confusing to many people." In terms of power at the beginner skill level, there are a couple of severe outlier heroes that dramatically hurt the fun of the game. Fixing these problems would be relatively easy compared to the complex and minute changes required to balance at a higher level, and would benefit more people. I don't want to make the game require less skill or be balanced for beginners at the cost of being unbalanced for advanced players. There are, however, heroes whose ease to pick up at a beginner level compared to others is vastly disproportionate. This results in a lot of pub games which are less enjoyable, and won by less skilled players, then is ideal. Simple changes could be made to heroes that are "Trash in inhouse anyways" That would hugely improve the pub experience. While it is true that "skill counters everything" in a pub game, balancing should be focused on creating a better experience, not reaching the unattainable goal of perfectly matched heroes. When a hero or heroes (we all know which ones) requires relatively little to no skill to dominate a pub game, it is very negative to the experience of all involved. It is possible to fix many problems detrimental to the pub game without threatening the inhouse experience. Why are Pubs bad? Because players are unskilled. Why are players unskilled? Uneven learning curves for many heroes is a fixable cause I think (aside from not having hours to dedicate to the game, as most people don't) . Having all heroes closer to playable will be a huge boost to the game and experience. I think that new players will get better, and be more winning to play the game, when the game is balanced for new players as well as skilled ones. Balance at a lower level is also less complex and easier to fix. Balancing of a game improves the experience and grows that game, encouraging players to experiment and develope new skills. Balancing from a pub level would be "balancing from the ground up". I believe that many balance issues in the pubs (All of which relate to the power of heroes being wildly unequal in the hands of new players) reflect greater design flaws that hurt the entire game, inhouse too. I really like the idea of balancing around the pub players and IH players-- IH thinks that Boros isn't that deadly but pubs believe he is ridiculously overpowered-- same with Shadow and Nova and people who deal high damage to a single target. Actually I haven't seen many people who cry that Nova's OP since her Orbs got all consumed on her first shot, now. And Peas is super-negative saying what he did, without even backing it... you have a solid argument here, Sam; and I feel distressed [well, more over my homework] that people do that =[. I do get, however, why the game is balanced around IH-- the people who IH are the people who Beta-Test are the people who yell in Ekcolnovkol's face about flaws in the game. Bring it on. Making the game easier to learn by balancing around a pub level will result with more learned players. Btw, pubs make up 99% of AoS players. of everyone in the world who plays basketball, what percentage can dunk on a professional hoop? dunking for the average person is much harder then just making a normal shot, compared to dunking for pros vs making a normal shot. so let me ask you, should the point value of dunks be increased to match the difficulty ratios for the average person, or should it stay were it is? 1) Heroes should not be balanced on how easy they are to use nor should all heroes take the same amount of skill to use. between players can vary greatly. 3) Would you not agree that a "better experience" would be having "perfectly matched heroes" ?? 4) That is completely false about being able to fix problems in the pub world and it not effect inhouses. I'll give the perfect example. Shadow rapes in pubs to the point where most pub players think he is OP, yet in an inhouse shadow gets shap on a lot and there are better carry heroes than him. 5) If you balance off of pub games that would mean you want Ecko to balance off of 5v3 or 4v3 etc etc. You cannot find balance by looking at pub games. It is impossible. Unbalanced teams and uneven teams dominate the pub scene. You cannot see the flaws or strengths of a hero in pub games. 6) Any hero can seem OP in pubs due to the skill gap of players. 7) To many scrubs QQ about random shap being OP. 8) To balance to the pub level it would make the game insanely easy and very boring for many players. If you want an easy game to play go play Hero Attack. That is not the only reason the game is balanced of IHers. We play the game in the environment it should be played. Team oriented, even teams and mostly balanced teams. Heroes are played the way they should be played. Inhouses allow Ecko to view items, mechanics, heroes etc. being used and played the way they are intended to be used and played. Basically if the game was balanced around pubs it would ruin AoS. And the mass exodus of players that leave every new version would be a joke compared to how many players would quit AoS if pubs were the center of balance. No balancing around pubs would make the game require 0 skill and no teamwork. There wouldn't be anything to learn. Go play Hero Attack. your metaphor is swiss cheese. Basketball succeeded as a game (this is why all games succeed) because it has a reasonable learning curve. Dunking is a high-skilled move allowing a highly skilled player to score points on a more low skilled player. This is how the game should work. In a well balanced game, a higher skilled player will defeat a lower skilled player by employing better strategies and execution. A level playing field creates and environment where more skilled players win. A game in which equally skilled players do equally well is by definition a perfectly balanced game. Perfectly balanced is no where near what AoS is aiming for. Imagine if every shot from half court in basketball went in. That would be unfair, for although it would be possible, it would take incredible defensive skills to "counter"
A game in which the counter to a certain strategy requires astronomically more skill than the strategy itself is by definition unbalanced. How about in tennis we balance the game by making the balls bigger so the average guy canplay aswell as the pro's cos those small tennis ball's are op at scoring points against me. the game is by definition a level playing field unless there are drops/its not a 5v5/afks (which only happens in pubs). its not like someone enters the game with more money and higher damage then anyone else can get. this advantage ur arguing about is really the equivalent of rules and regulations in basketball. a complete novice that doens't know the roles in basketball can't complain the game isn't balanced because he doesn't know the roles and rules. this is the case in any sport: there are roles and rules, and as skill level decreases, it is apparent that people understand less and less of said roles/rules. Another good example is soccer. Your complaint is analogous to a soccer novice stating: "i see the goalie holding the ball, why can't i? thats dumb that i can't use my hands, thats NOT FAIR." Guess where I am? Stuck on a bus. Guess what that means? I'm annoyed. And so I enter the fray. First, what makes you think that the balancing approach is based solely on inhousers? Many of the inhousers protest a lot of the changes. Oftentimes changes are made because "pubs are a lot of the player base," and so we have to deal with shapty changes. What happens later on? Those changes are reverted because eventually pubs start whining in the opposite direction. First, such heroes don't always dominate pub games. The problem is that people are more concerned with playing those heroes than learning to counter them. When I play pubs I have a great time shapting all over boros/null/nova, etc. Thus, a blanket assertion that it's a negative experience is invalid. Second, using the forums to gauge the view of pubs on the whole is bad, because most of the players that "get dominated" don't use the forums. If they did, they could learn to counter these things. Third, inhousing/mumble is open to any and all public players. Thus, any problems with pubs can be resolved by those pubs joining mumble. Again, an assertion. Right now Boros (the main example) is considered fairly weak among the inhouse community, because people know how to play against such heroes. First, Making the learning curve for each hero the same is impossible without giving all heroes the same abilities etc. Second, all heroes are playable. In any pub game I've played I'e been able to carry effectively with every hero in the game. It's not difficult. First, balance at the lower level is harder to fix as people don't understand what makes heroes too strong a lot of the time. Even among a large percentage of the higher tier players I see absolutely ridiculous conceptions of what make something imbalanced, etc. Second, making all the heroes really easy to learn wouldn't make new players get better any faster, it would merely mean that nobody ever had to get better. Third, If balance were formed around the lowest common denominator, there would be no incentive for people to continue playing the game, because it would be too easy. The game currently requires developing new skills to be good at the game. People choose not to do that because they can "pubstomp" with a few heroes. However, most times they end up against a good team they get shap on. Great example of this is our buddy IOVOI. He's known as one of the better pub players but ragequits the moment he sees a mumble player in his game. First, still no justification for why this is a "ground up" approach, nor why that is a good approach. Second, no warrant for why this is a design flaw. That's just an assertion. The end of this post sums it up the best. It' not an argument at all but a dumb little rant without any real basis. "power" in heroes as compared to skill level is wildly different from hero to hero at the starting skill level. The relationship between skill and power at that skill level should be repaired because it would be to enormous benefit to new players. In no way was I suggesting making all heroes require less skill, only levels of skill closer to each other! so are u saying that certain heroes are op? or that certain heroes are op when played correctly? or incorrectly? 1. No, it's really not. "Skill counters everything at the beginner level" is a fact, although at a certain point in skill you are no longer a beginner. "The goal of a perfectly balanced game is unattainable" Is also a fact. "Balancing should be focused on creating a better experience" What the heck else would it be for? 2. In most cases, when a pub game is dominated by an unskilled player, that player is using an unbalanced hero that could be easily fixed. 3. Yes that is an assertion, but one backed up by the facts you stated yourself. If boros is considered weak at a high level, why not make slight changes to make him less overpowered at an unskilled level? What would be lost? 4. True.BUT: I am not for equalizing all learning curves, only fixing the outlier heroes in which the starting point for the learning curve is higher than all others. wait, is this prozac trolling? If you want to make levels of skill closer to eachother than that means many heroes would require less skill. For example: Tassadar is probably the hardest hero to play in AoS. This is why you never see him played. To make skill levels closer to a different hero would mean to make tassadar considerably easier to play. Please yes. I think a game should be balanced around pub and new players because they are the ppl who play the game the most and there know what balance is. This elitist attitude of the IH community is really toxic to the game and I think we should restrict them from posting in "balance" debate like this. Actually Tung brings up an excellent point. Why balance a game around players that have no idea what they are doing? Tassader requiring an enormous amount of skill does not hurt the game for pubs, Nova requiring next to no skill does. In terms of power at the beginner level, there are a couple of severe outliers that dramatically hurt the fun of the game at the beginner level Fixing these problems would be relatively easy compared to the complex and minute changes required to balance at a higher level, and would benefit more people. See nova requires next to no skill in pubs. However, when played in an environment that she is supposed to be played in there is some degree of skill. Not in her skill set, but within positioning and decision making etc. So you are saying make the game easier so new players have more fun and players that have been playing for awhile have less fun? Also, can we please stay out of the realm of analogies here? You're all bad at it, and it's going to get more and more confusing. As another question for "Sam," who are the heroes that aren't easy to play in pubs? I still think that any competent player can pick up a single hero and get crazily good at it and dominate pubs. That's just more likely for a boros because of Q+R, but other heroes are easy to do it with as well (e.g. when I was a pubstar I wreck every game as drake/rancor/darpa, despite boros being considered OP by pubs back then too). This is retarded... 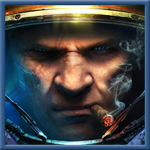 If starcraft were balanced to cater to the bronze/silver/gold/platinum/diamond leaguers, the game would be absolutely broken. Collosus would have 1 range, HT would do 25 dmg with storm, or a zlot would do 5 dmg because of the amount of people who are unable to micro properly or counter properly. It takes skill to be able to stop common "cheese" moves in both AOS and Ladder. The better you get, the better map awareness you have, the quicker your reaction time gets, the better you have an understanding for what the time/place is for each skill. The only thing that separates AOS from real sc2 is the ladder, and, just maybe, a ladder could be implemented. K/D Ratio... idk. I am not saying that we should do what the pub players say, they are mostly monkeys trained to operate a keyboard. Only make the game more fair for them. "While played in the environment that she is supposed to be played in" Yeah, sure, but what about the environment Nova IS played in most of the time? Simple changes could make this hero less easy for beginners to ruin the game for other beginners with.